Inspire conversation and collaboration with tables that bring people together. Wear-resistant 1-1/8" thick melamine top resists spills, warping, hot/cold temperatures, and features a vinyl T-mold edge. 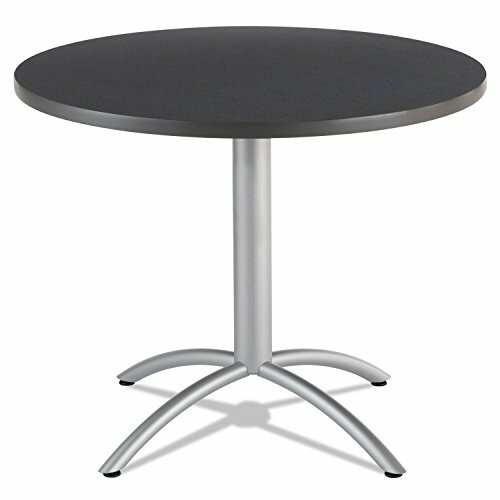 Powder-coated steel arched base is strong, and adjustable feet compensate for uneven flooring. Inspire conversation and collaboration. Wear-resistant 1-1/8" thick melamine top with vinyl T-mold edging. Melamine sealed top and underside resists spills, moistures, and hot/cold temperatures.